People, especially young people, are leaving California. It’s not that they don’t appreciate California’s year-round sunshine and temperate weather or its access to beaches, desert, redwood forests, and mountains. They haven’t lost interest in the state’s vibrant metropolitan areas filled with museums, theaters, major sporting venues, and countless restaurants and shops. Rather, it’s precisely what makes the state so great that also makes it challenging for young people in the first third of their careers to buy property. And that is the problem driving people out of the state; it’s a problem that California needs to solve. It’s true that the cost of purchasing a home is much lower in smaller cities and towns east of the California coast. However, because the large majority of jobs, schools, and housing are in or close to the state’s major metropolitan hubs (the Bay Area, Los Angeles/Orange County, and San Diego), the majority of in-state residents are faced with trying to buy homes in these expensive areas. This explains why people are packing up and leaving the state altogether. An obvious problem with this is that the state is losing out on a younger workforce, both from this generation and those to come, to help sustain the California economy. Additionally, as property rates increase, businesses begin looking to move elsewhere to cut costs, which again can hurt the California economy down the road. A state that can’t provide opportunities for its younger residents to start and build their adult lives is certainly a growing problem. More people moved out of California to other states than moved in from other states. In other words, California lost people due to domestic migration. While some people are leaving the state to try their luck at more affordable out-of-state housing markets, other young people are simply moving back in with their parents in order to save money. One article mentions that, “While thirty-year-olds were twice as likely to own a home as they were to live with their parents in 2003, we find that they were equally likely to own a home or live with their parents in 2013.” The obvious reason for this is because Millennials are having to save much more money in order to make their first home purchase. And since California also does not boast of cheap rental rates, their best option is sometimes to pay no rent at all (or very little) by crashing in Mom and Dad’s guest room. Yet, this results in younger people having to wait longer to get married or start families in some cases. Although great weather and employment opportunities abound in the state, not being able to purchase a home and begin acquiring equity earlier in life (which can have major financial implications on future purchases or retirement) is not worth the tradeoff for many. That’s why it’s important to be aware of what the housing situation currently looks like in the major metropolitan areas of California, especially if you have plans to buy a home in one of those areas in the near or not-so-near future. In order to get a sense of what buying a home is like in one of California’s major cities, we honed in on PLNU’s own place of residence: San Diego. We asked Lynn Reaser, Ph.D., PLNU professor of economics and the chief economist at the Fermanian Business & Economic Institute, to share her insight and experience on purchasing a home in a major California metropolitan area like San Diego. Certainly, one of the most important and critical steps in the home buying process is preparing as early as possible. Whether or not you’re planning to purchase a home in the near-future, it’s critical to put money aside and to start getting acquainted with what the market looks like. Although most people expect homes in California to not be cheap, many are downright shocked by just how expensive a modest property can be. That’s also why being realistic about what you might be able to afford in one, two or five years from now is necessary. A review of what type of house you might want to purchase and what similar homes are commanding as far as pricing can help you put aside an adequate amount of money each month so that you’re ready to buy when the time comes. Related Article: Ryan and Wendy Kessler open up their home to break bread with others and share God’s love. Yet, despite the challenges facing those who want to purchase a home in California, there are still young PLNU alumni out there who are finding great homes that fit within their budget and allow them to stay in the state. We spoke with three PLNU alumni who have purchased a home in California’s fourth most expensive city, San Diego, to get their thoughts, insights, and advice on the home buying process in this challenging California market. Kirsten Sherwood (14) and her husband just purchased their home in January of this year in Clairemont. They found a three bedroom and one bathroom home that, though requiring some work, met their expectations and budget. Andrew Schalin (13) and his wife purchased a two-bedroom, two-bathroom condo in 2018. And Bekah Van Bruggen (06) and her husband purchased a duplex last April in Fairmount Village, where they are able to rent out the second unit to her parents and help save on the cost of their monthly mortgage. How did you prepare to purchase a home? Obviously, the need to start saving as early as possible for a house is a must. However, it’s also important to be aware of what the market looks like and, at least to some degree, start to familiarize yourself with it even if purchasing a home might be a couple of years away or more. The need to start saving as early as possible for a house is a must. However, it’s also important to be aware of what the market looks like and, at least to some degree, start to familiarize yourself with it even if purchasing a home might be a couple of years away or more. 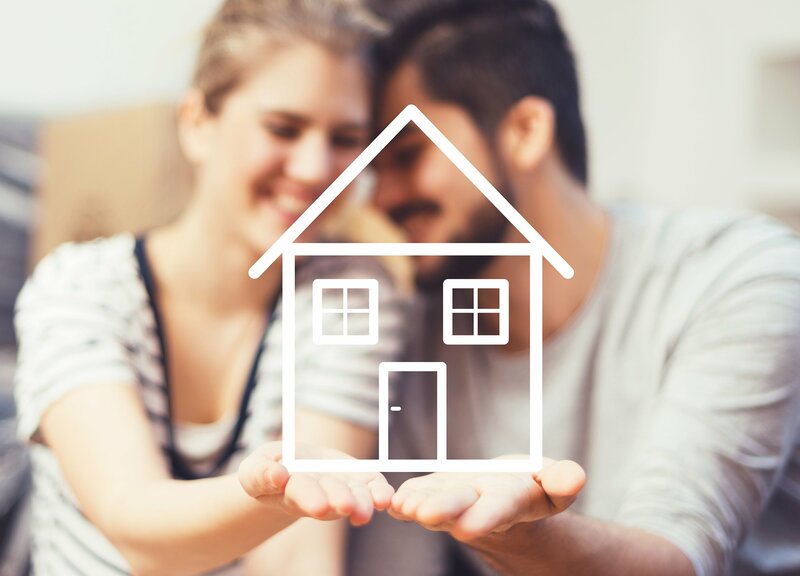 In addition to beginning the active search process early, by going to open houses and connecting with a realtor years before purchasing a home, Schalin familiarized himself with the complex intricacies of the home buying process. Reaser also advised to remain in the know with your financial situation, as well as be willing to buy something smaller just to get your foot in the door, so to speak, so you can more easily buy something larger down the road. Increase your saving each month towards the down payment you will need. Start looking for smaller and older homes to buy. Then as you build equity, you will be able to move up to bigger and better homes over time. While simply having enough money to actually buy a home is the most important factor, as Schalin explained, becoming knowledgeable about the process is also important and can ensure that you’re aware early of what is actually within your budget and what is actually a feasible purchase. What factors did you consider when buying a home? Sherwood also emphasized that it’s important to clarify what are the “must-haves” in a potential home purchase, which means having honest and open conversations with the person you’re purchasing the home with if you aren’t purchasing it by yourself. Some houses may be within budget or in an ideal location but require a ton of work to fix up, while others might have all the amenities you desire but be too far away from your work or wildly out of budget. Therefore, it’s important to narrow down your list of “must-haves” and “could-live-withouts” before looking aggressively. What were some of the major obstacles to purchasing a home? Typically, unless you qualify for a loan assistance program or have access to a VA loan through current or previous military service, it’s necessary to put down roughly 20 percent of the total value of the house. This is why it’s absolutely critical to exhaust all options and explore all possibilities that might mitigate this requirement, since there are programs available for which you might qualify. Reaser advised to meet with your banker to understand and consider various financing options. According to Zillow, the medium value of a home in San Diego is $632,700 (and, again, keep in mind this is not even the most expensive city in the state). This means that a 20 percent down payment of $126,540 would be required to purchase an average home. Of course, this medium value is greatly skewed because of the large number of extremely expensive houses in San Diego. However, even a house in the $300,000 range is going to command a roughly $60,000 down payment. And this doesn’t account for other leasing and service fees that are accrued during the home buying process. In other words, buying a home in California is a major expense and not something to be taken lightly without major foresight and planning. For both Sherwood and Van Bruggen, though their savings were certainly crucial, they were both fortunate to have the help of their parents in making their purchase. “Both my parents and in-laws said they would help us to get to 20 percent so that we could afford the monthly house payments,” Sherwood said, echoing Van Bruggen in acknowledging being fortunate for their parents’ financial help. As in the case of Van Bruggen and Sherwood, they were simply not able to buy a house in a major California city without the help of their parents. This harkens back to the finding that Millennials are having to delay buying a home in order to save money, which at times might result in moving back in with their parents (as Van Bruggen and her husband did). In other words, two of the three alumni interviewed had explicit financial help from their parents to buy their first home, highlighting just how challenging it is for young people to buy a home in one of the state’s major cities. Because of challenges like these, Van Bruggen and her husband did consider leaving California since it was starting to look like the only option for them to actually own a home. Additionally, they also considered looking at something smaller, like a condo. Fortunately, with some luck, planning, and their parents’ help, Van Bruggen was able to find something that worked for them and stay in not only the state, but San Diego specifically. “The obvious challenge is money and when the right thing shows up there are people who have a lot more money. But we had a realtor who really went to bat for us and that made a huge difference,” Schalin said. In addition to having enough money a clear expectations about what you want in a home, having a good real estate agent, or realtor, is absolutely critical. Although a real estate agent has many roles, this person is essentially your partner and advocate throughout the home buying process, prospecting to find available homes and open houses for you to attend, narrowing down your search based on your budget and expectations, helping to craft offers and counter offers, and more. “Our realtor, Diane Sullivan, was good and there was a lot of trust there. She went above and beyond in so many ways, getting to open houses right away and doing personal favors like unlocking homes so we could see them when we were in escrow. She helped us work through various requests with our mortgage company,” Schalin said. What other resources are worth looking into? “Our mortgage broker that I found online was a huge help. They helped us select who was going to handle our mortgage and helped us have all of our ducks in a row so that we could close very quickly when a place was available,” Schalin said. A mortgage broker can be helpful in making sure you’re able to lock a reasonable mortgage payment plan that works for you and your budget. Of course, this is another cost to the overall home buying process, but one that might be worthwhile. What general advice would you give to PLNU alumni about purchasing a home California? “Before you actually purchase a home, also pay for a property inspection so you will know what may be required to repair your home now or in the future,” Reaser said. Related Article: Hiking 2,185 miles to help build a home for abandoned children.